I have enjoyed all the different ways I have been able to learn and to some extent understand the specific context of Colombia, so to be able to develop a "vision" in accompaniment with my counterparts here for working for peace and justice. 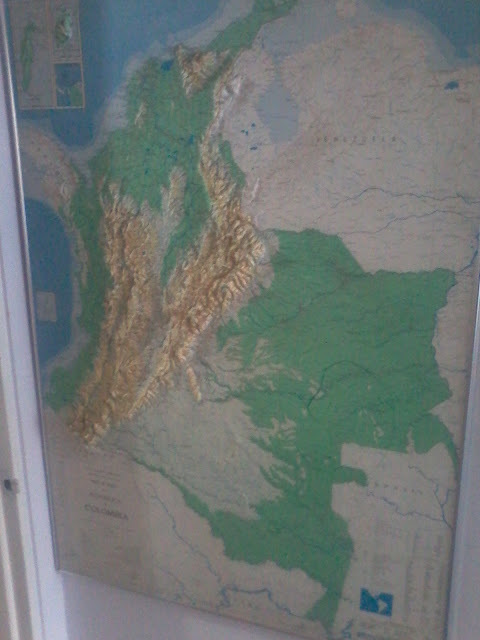 Map of Colombia in the IELCO library. Photo by Curtis Kline. After you type in your email address, you will get an email from 8000feetandcounting - please open this email and follow the link to verify or you won't be subscribed. Your Support Matters, thank you! All the photos on this blog are taken by and the property of Katie, unless noted otherwise in the caption. Travel theme. Theme images by zbindere. Powered by Blogger.